Oooh I like this one. This is a different subject matter for you (at least from what you've shown us on LJ). 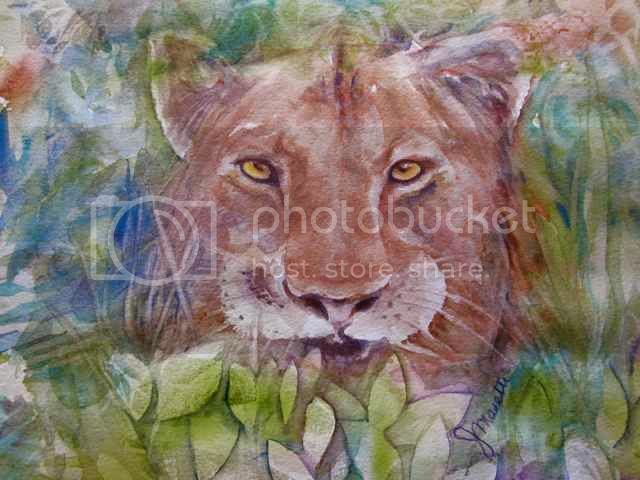 I love the lion's face and the way she's hidden in the foliage.